This natural clip hanger measures 35 cms along the top of the bar. It is made from natural wood and has a chrome hanger that can twist around to suit displays. It has two classic clips in chrome with covered black ends to stop the clip marking your garments. This natural clip hanger compliments our other hangers in the same range. It is great to hang your awkward skirts, trousers etc to their full potential. The natural clip hanger comes individually and boxes of 100 for a wholesale saving. 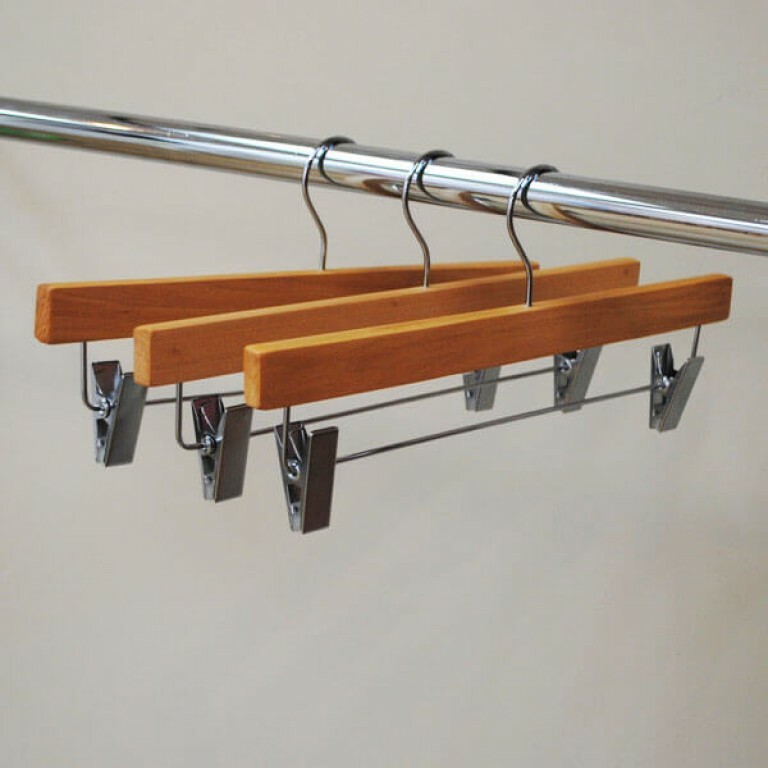 Natural wooden clip hanger with metal clips in satin finish.